first of all, I’m glad we got through the Thanksgiving holiday and Black Friday without any incidents in our immediate and extended family (as far as we have heard as of this morning). Next, I tried out the iPhone version of the WordPress.com mobile app, and I’m both impressed and disappointed Let me address the disappointed part first. As I detailed in my previous post I was out of town and wanting to make a blog post, so I tried out the current version of the iPhone WordPress.com blog CMS app. I worked great for doing some basic posting and I may not be totally impressed with it because I was operating on the AT&T Edge network out in the boonies, where part of our extended family lives. That said, the biggest issue for me is being able to create or look up the related content links and references I usually include in my posts. Also, adding pictures or logos provided or linked by WordPress.com seemed to be lacking/missing/not obvious. Now, on to the good part(s), I like the app and hope the Android version is just as good or better. The app will allow me to create more posts and I can always edit them later for layout and additional content. I like the fact that I can now post anywhere, any time, as long as I have at least Edge Network access. I’m sure as I use the app and get more familiar with it, I will find many other things I like about it and maybe even figure out how to overcome some of the issues I listed above. Overall, I will give this app a 4.5 star rating when I get time to write a review. Next, on Black Friday. The only thing I am interested in for the November holiday period is to replace my aging and under-classed (in performance iPhone 3GS with an Android device. Currently I am contemplating the Samsung Galaxy SII (GS2 for short) because for Cyber Monday AT&T will be offering it for a penny with a 2 year contract! I like the penny part, not so much the contract, though. 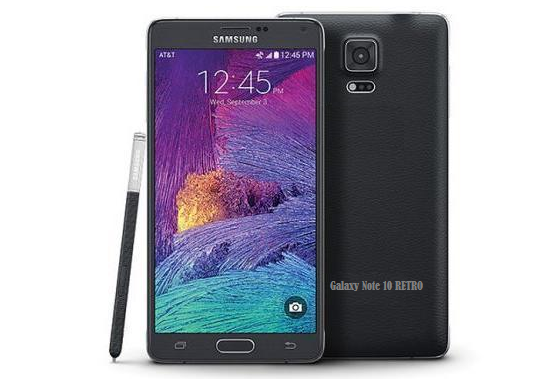 But, the two phones I really would like to have, are the Samsung Galaxy Note II (G-Note2) or the Samsung Galaxy SIII (GS3). Either are too expensive and I cannot afford to shell out that much money for a device that will be out of date in only 3-4 months. With a ROM update to Jelly Bean Android OS, the GS2 should serve me well for the next two years, and maybe if I get a bonus or something over the next few months, I can just buy a unlocked G-Note2 when they become available on the surplus market for a reasonable price. Now, back to the Black Friday and Cyber Monday issues. I really hate all the sheeple that crowd to the retailers to “get a deal” just to get a sale deal, not because they “need or really, really, really want a device” bad, but just to get the savings or deal, because it’s not really a deal, if you shop around throughout the year, you can get just as good or better deals. I have passed up almost two years of upgrade deals and pushed my iPhone 3GS to it’s operating limit and it is starting to not work correctly due to its age and lower performance specifications. So, for all you sheeple out there, wake the F%^& up and don’t fall for all the hype. It’s really only there for them to sell the older stock of products, and the new stock of items at still profitable levels. They are luring you in to bolster their profit margin, and to reduce their older inventory, so when it comes time to report to the IRS, they don’t have to report stocked inventory which is more expensive than to report profit, which they can offset with tax credits and tax shelters. You are playing into their hands at your expense. Don’t. If you are like me and have a 3+ year old device that is reaching end-of-life, go for it. But don’t hesitate to check your carrier/vendor for deal throughout the year. Like many carriers, when they get a new flagship model, the older ones are reduce in price or put on sale usually the same day or week. Those are the true deals, because you can get what used to be the flagship, top of the line model, and still very capable device for a much lower price than someone paid for just a few days prior to the release of the new model. Alright, enough ranting. Ya’ll have a good day/week/remaining year.